Unfortunately, many people will experience some degree of deafness as they get older, whether they frequently shoot or not. Learning how to recognize the early signs of hearing loss and seeking help from a medical professional can minimize the impact, so it is important to be aware of the early signs. One of the most common signs of hearing loss is asking someone to repeat themselves. If you or a loved one has been doing this more often, it may be because of hearing loss. Sometimes a person may mumble and needs to repeat what they said, but if everyone’s voice is slowly becoming inaudible, there may be an underlying problem. 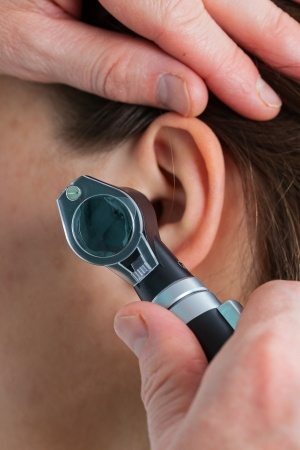 Some types of hearing loss can also cause a ringing sensation in the ears. While this symptom isn’t always associated with hearing loss, it can indicate some type of problem. Regardless of the reason, if you or a loved one experience consistent ringing noises, it should be followed up on. If you have been turning up your television or speakers higher than average, you may have some level of hearing loss. This is especially true if everyone else in the room is telling you that the volume is too loud. You may also notice that you can no longer hear normal household sounds like a faucet dripping. While any one of these signs may not be indicative of a larger problem, it is worth getting a hearing test, especially if you have reason to believe your hearing may have been damaged. Regardless of the current state of your hearing, make sure your hears are always protected before firing a gun or being around any other types of loud noises.